Miami Tourism / Assorted B2C / Agency Promotion - yestruebloodismyrealnames jimdo page! 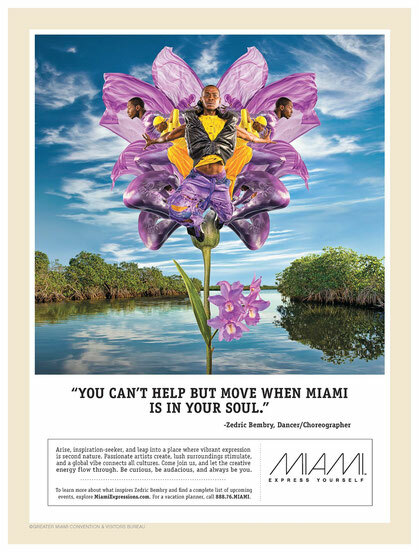 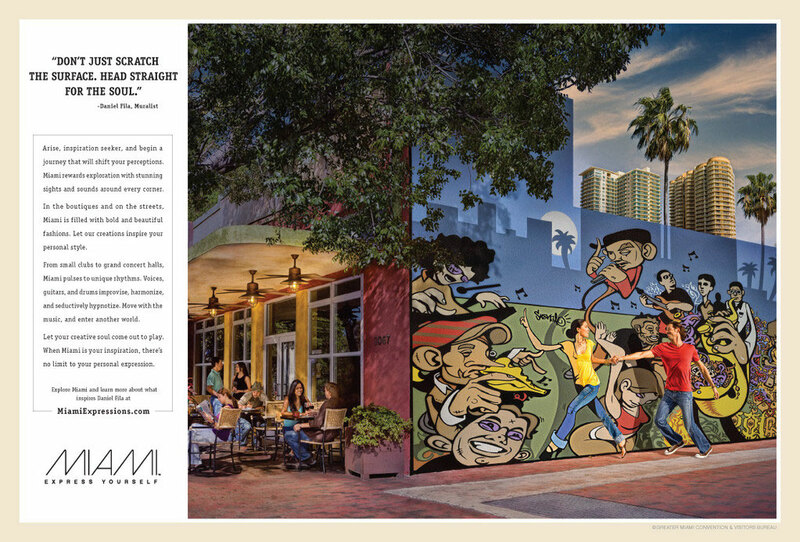 Three print ads from the "Express Yourself" campaign for Miami Tourism. Each ad was developed in collaboration with a famed local artist. 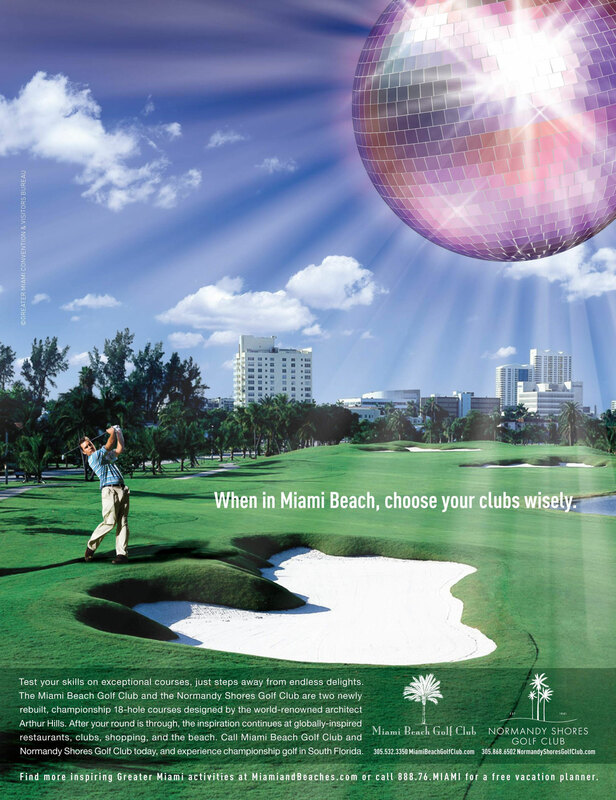 An ad intended to let vacationers know there are good golf courses close to the resorts and nightlife in Miami Beach. This ad was created for a South Florida arts & culture publication. 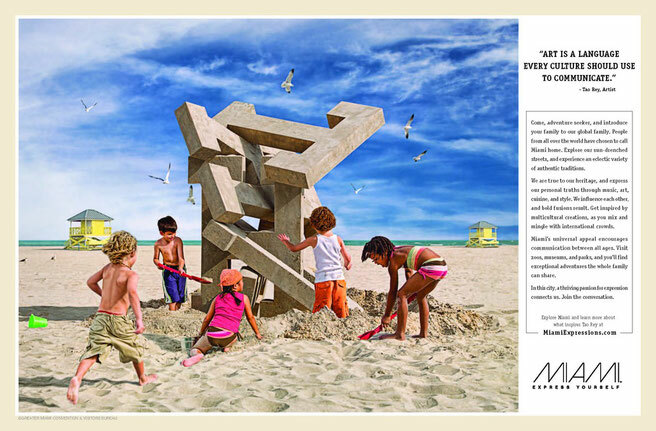 One radio spot for the Arizona Milk Producers reminding audiences of the nutritious benefits of milk. 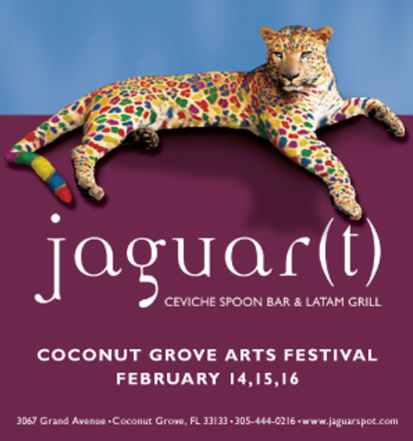 A poster inspired art lovers to visit Jaguar Latam Grill while they were attending a local art fair.